I’ve always had a soft spot for the O’s since childhood. They were one of the few teams that thought about kit rather than shirt design. The classic Admiral number, up there with Coventry City’s famous brown kit had those red tram lines down the front that looked so smart. And during the 80’s they had a team and a half. Ralph “combover” Coates, ex-West Ham players Mervyn Day, Tommy Taylor, Billy Jennings, Patsy Holland (what modern player would get away with a name like that!) and Tunji Banjo. They even had room for Carl Hoddle, Glenn’s crap brother. But it was their dashing wingers that had people streaming through the gates of Brisbane Road. On the flank was Nigerian John Chiedozie, who had taken over the number 11 jersey from Laurie Cunnigham who went on to be a huge success at Real Madrid (being their first ever English signing). Exciting times indeed. But you don’t want to hear the tired old clichés about Leyton Orient do you? What you want to read are some nuggets that you cannot find on Wikipedia, right (well, maybe a few facts)? Match reports and analysis of Barry Hearn’s revolution at the Matchroom are two-a-penny. So I wont focus at all about Danny and I’s adventures in East London on a Saturday morning, scaling walls and running away from security guards. Oh, no. Just the facts ma’m. 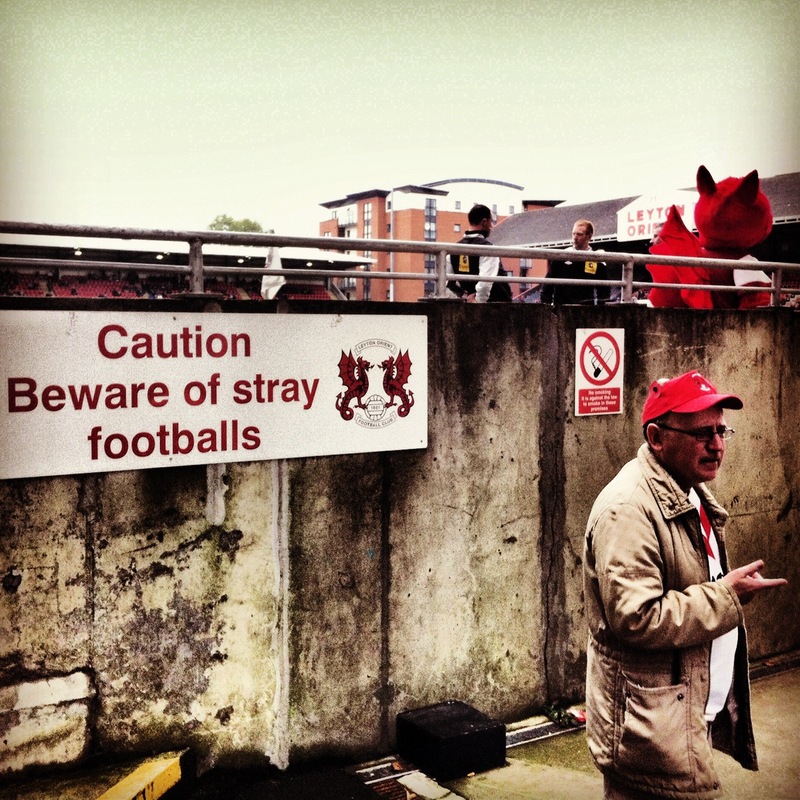 So here we have the definitive “Well, I never knew that” about Leyton Orient….and then some gubbins about their game against the mighty Shrews. 1. Leyton Orient were the last winners of the Dubonnet Cup. The Queen’s favourite pre-lunch tipple of Dubonnet (and Gin) was once more famously known as the sponsor of an invitational cup, held in Paris for teams who had impressed in the FA Cup the previous year and fancied a booze cruise. Bizarre is a word I would use to describe the tournament, won in 1910 by Swindon Town, and then the following year by Leyton Orient who beat London rivals Millwall at the Parc de Princes. In honour of their victory, a small pissoire in Bois du Boulogne was named after the side. 2. Leyton Orient have had five names since starting life as the Eagle Cricket Club in 1886. In 1888 one of their players had a decent Chinese take away in South London and wanted to bring a taste of the Orient back to his team-mates and suggested they changed their name. It helped that he also worked for the Orient Shipping Company (The ‘O’ in P & ‘O) at the time. Ten years later they signed a deal with Eric Clapton (yes kids he is that old) and became Clapton Orient. Since that day Eric has the right to call up the manager up until 2.55pm on a match day and demand a place in the starting XI. 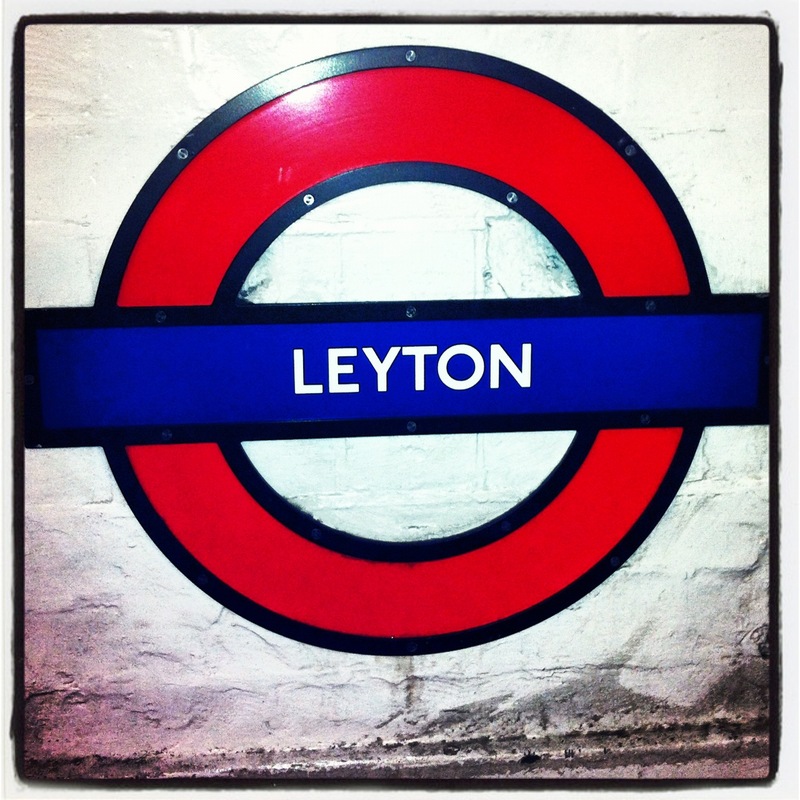 After the Second World War they crossed the A12 into Leyton to fetch their ball and liked it so much they agreed to stay, adopting the name despite a local team already being called Leyton FC. Then they lost the word Leyton in a card game, before winning it back in a game of Boggle in 1987. 3. In 1893 they were the first football side to have anything printed on the back of their shirts. Shirt sponsorship was still eighty years away but even still Orient were ahead of their time and sold the rights for the advertising on the back of their shirts to ‘O’ who were the forerunner of O2…allegedly. There is of course the story that it represents the ‘O’ in their name but I don’t buy that. 4. Until 1967 the O’s played in blue. To coincide with their change of name to Orient the club scrapped the red and white in 1946 and adopted blue as their primary colour. Variations of the blue and white kit were used until 1966 when red was restored after a boycott of Bovril by the fans had gripped the club for a season. 5. They have some unusual famous fans. The Lloyd Webber brothers may seem at home smeared in grease paint and calling everyone “darling”, but they are actually more at home in the Tommy Johnston Stand at 3pm on a Saturday. The album Variations, which was famously used as the theme tune for London Weekend Television’s South Bank Show, was written by Andrew Lloyd Webber after losing a bet to his brother Julian on the result of a Leyton Orient v Hull City match. 6. They were once managed by the finest motivator known to man. John Sitton played for the club for six years and then went onto be co-manager of the club in 1994. His moment of fame came when the TV cameras were allowed in the dressing room at half-time to hear his motivational words. By the time the programme was aired, Sitton had been sacked. 7. Barry Hearn took over the club in 1995 and once said he would rather Play and enjoy poker with friends than watch the O’s. His arrival was when the club were staring at a financial abyss and he has not only shorn up the finances, redeveloped the stadium but also ensured that the toilets have nice hand cream in. Today, he is a hero in these parts, and quite rightly so. 8. 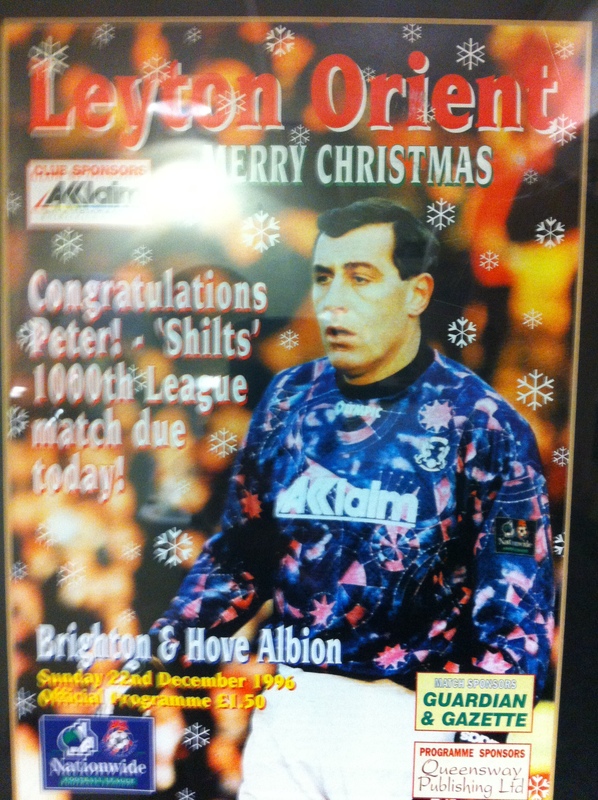 Peter Shilton played his 1,000th game whilst at the club at the age of 147. The game on the 22nd December 1996 against Brighton & Hove Albion was screened live. I was in the West Stand for this game along with 7,945 others (not all in the West Stand). It was my first trip back to Brisbane Road for a decade. Three months later I appeared live on BBC West Midlands with Peter, firing shots at him whilst he demonstrated how agile he was for a 147 old. Told you this top ten was full of interesting facts you didn’t know! 9. It’s not illegal to have a beer and watch the game at the Matchroom Stadium. Whilst the Taylor Report subsequently led to the banning of the consumption of alcohol within sight of the pitch, the rule doesn’t apply to everywhere in the ground. As part of the redevelopment of the Matchroom stadium, the four corners were sold off for redevelopment. In their place today are four blocks of flats with balconies giving a perfect view of the game. As these are privately owned, the rule does not apply to residents and so they can sup away to their heart’s content whilst the rest of the crowd suffer. 10. The club crest is not of two dragons but two Wyverns. These mythical creatures have the head of a dragon, the body of a reptile and chickens legs. I have no idea why either. Ah yes, the reason why we were here…..Danny had done his research. Our first port of call was the King William in Leyton High Road. Quite a trek from the ground, but oh-so worth it. Eighteen (18!) 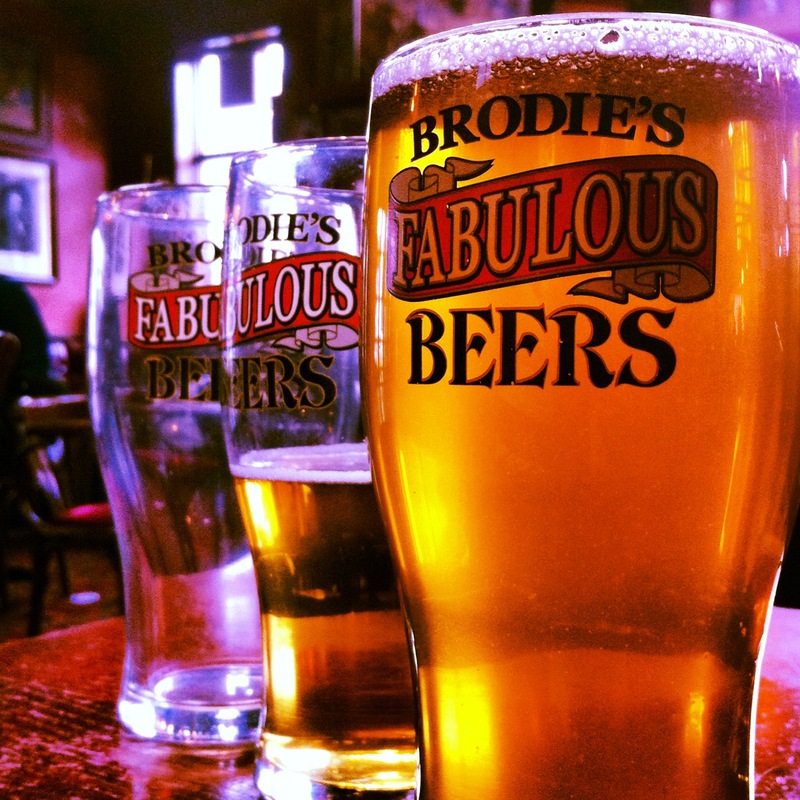 locally brewed Brodie’s beers ranging from a wimpy 3.1% to a full-blooded 10% IPA at just £2.55. Had we somehow been transported back to the 1970’s?. Naturally we chose something in between, sliding down nicely with our full English. After a few of these we were ready to put down our deposit on a flat overlooking the pitch. Time to move, and onto the World Famous Leyton Orient Supporters Club. For the price of just £1 we were ushered into the finest bar known to man. Memorabilia lined the walls, the carpet was Leyton Orient branded, the beer was £1.50 a pint (£1.50 a pint said in a high-pitched voice). We went with an Oscar Wilde Mild of course before snagging a programme (£1) and standing with our jaw on our chest at the magnificence of the establishment until we were told to go and watch the game. Ah yes – we were here to watch football. It was a wrench dragging ourselves away from THAT bar but we had a game to watch. 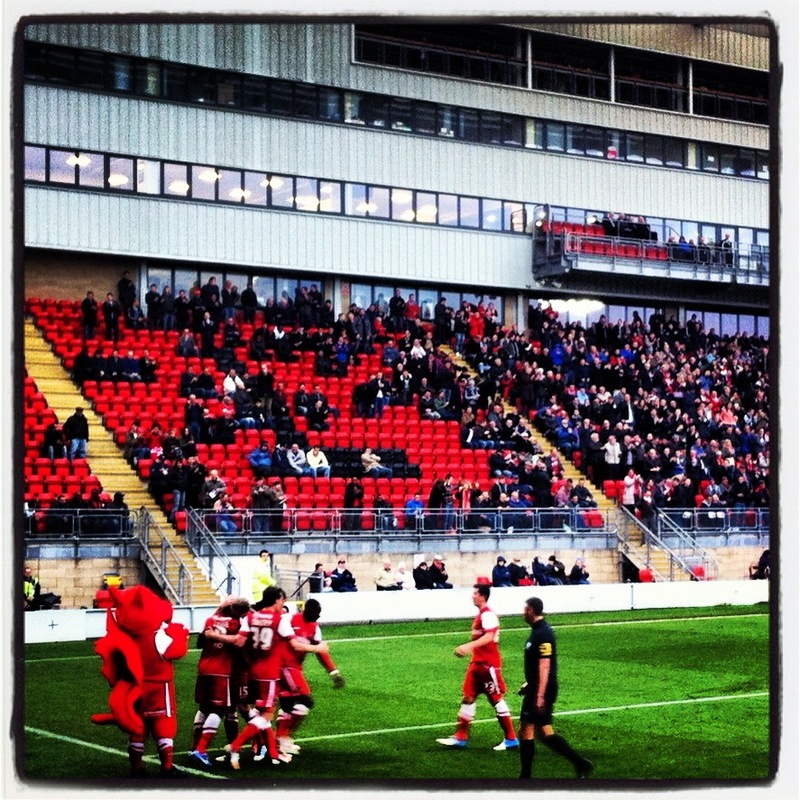 Leyton Orient had slashed the price of admission for the game to try to attract more fans. It is hard to know what else they can do, sitting on the doorstep of West Ham and Tottenham Hotspur. Only 3,822 took up the offer of a discounted day out which is a real shame as Leyton Orient is a great place to watch some football. Shrewsbury did their bit, bringing around 400 fans into the main stand. Friendly staff, a good stadium and people who genuinely care. This game was also special as a remembrance of the sacrifices made by players and officials alike during the First World War and the crowd joined in the minute’s silence impeccably at half time. The game was won by Kevin Lisbie, a man who seems to have been played for as long as Clapton and Shilton. The Jamaican international put the home side ahead in the first half, converting a penalty after the very impressive Moses Odubajo was brought down, and then scored an 88th minute winner after Shrewsbury failed to clear their lines. It was a deserved victory, although the team’s main problem was clear to see – eleven league goals in sixteen games up until this afternoon tells the underlying tale of their season. The win was enough to push the O’s up to sixteenth in the league, above teams such as Portsmouth, Coventry City and Scunthorpe United, all more familiar in the upper reaches of the Football League. A few more wins like this and a few more goals from Lisbie will see Leyton Orient safely in the top half of the table. After the game we headed back into the Supporters Club. Such was the enthusiasm to get in there a queue had developed. Everyone’s a winner – the fans get a decent place to have a drink, chat about the game and watch the late game on Sky, whilst the club benefits from the additional revenue. As we left, Barry Hearn himself was standing by the door. “See you later chaps” he said. I can assume you Mr Hearn this wont be the last time we have a day out in E10. More pictures from the afternoon can be found here, whilst Mr. Last’s excellent snaps can be viewed here. This entry was posted in nPower Championship and tagged Barry Hearn, Football League, Leyton Orient, Matchroom Stadium, nPower League One, Shreswbury Town. Bookmark the permalink. excellent report – you could come South West to the Cherry Red Records Stadium and AFC Wimbledon. One of the local establishments is a delight I have been told. Its on the list for a visit this season…I know the place you are referring to as well! Jan30admin First of all, let me take a moment to thank you all for ctuirtbnoing to the comments on this post. Christopher: Orient have something very valuable. Their own home, security for the future, a base of operations. I don’t believe that you can put a value on it above and beyond something comparatively intangible like the cost of a new stadium which is better than the one we have now, is in a location that is convenient for all of our supporters and takes us forward as a club . If, however, you want a cold, hard statistic that throws the a36m figure into perspective, then I can give you one. When Sam Hammam sold the Plough Lane site that was the home of Wimbledon Football Club in 1998, he received a38m for it. Just to clarify that’s one-third more than Brisbane Road is valued at now, and this was eleven years ago. Even allowing for the recent fall in property values and the fact that the four corners of the stadium have already been developed, the figure of a36m seems like a surprisingly low one. Also, of course, this is being generous and not even taking into account the fact that your club will only see a32.4m of this money.